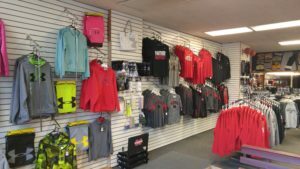 Monticello Sports is a full-line retail and institutional sporting goods dealer located in Monticello, Iowa. Monticello is 35 miles from Cedar Rapids or Dubuque on Highway 151. We offer a wide range of shoes and clothing from Nike, Adidas and Underarmour. Basketball, football, baseball and softball equipment is available from Wilson, Louisville, Easton, and Rawlings. 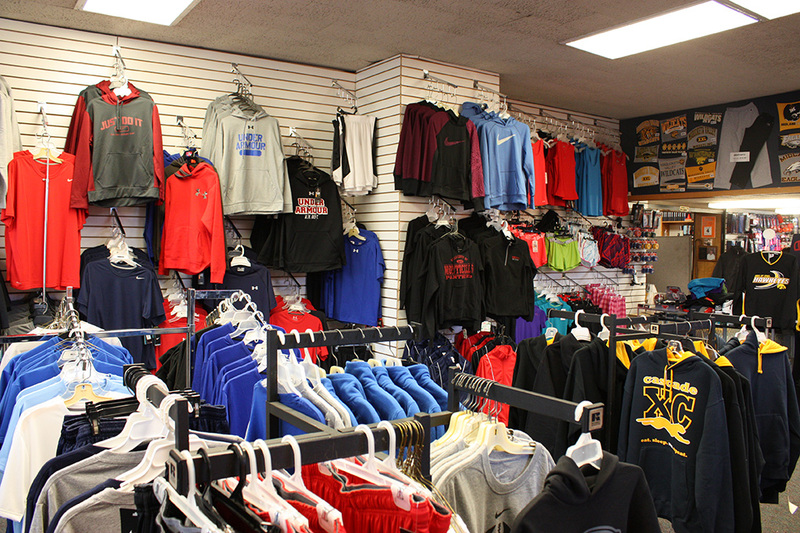 We offer lots of custom and stock uniform options to fit all of your teams needs from such brands as Underarmour, Nike, Adidas, Powers, and many many more! We also offer custom screen printing. Our screen printing production center can print men’s and women’s apparel for almost any occasion. We have hundreds of screens to choose from, or we can design one for you.